ANTONIOA� SCIROCCO is not like most Italians wea��ve met, at least not at first glance. The bakera��who has been garnering praise from chefs and restaurateurs alike for his custom-made, wood-fired stone pizza ovensa��is not big on small talk, as we catch up over some lemonade at Jonaha��s Bistro in Poes Garden. But the 30-somethingA� soon beginsA� chatting animatedly once we broach his favourite topic a�� ovens.A� Ushering us into the kitchen, where one of his beautiesa��a yellow and purple stone mosaic ovenholds prime place, Scirocco springs into action.Expertly kneading dough and chopping tomatoes, peppers and salami, he has a pizza sliding into the oven in no time. a�?Ia��m a baker first, then an oven maker, and this is where I feel at home the most,a�? he laughs, as he pullsA� out two perfectly-baked pizzas in minutes, imparting a lovely, smoky flavor. AnA�A� Italian based inA�A�A�A�A�A� Auroville, Scirocco came to India in 2008 with his family,whenA� he helped set up Tantos PizzeriaA� in Pondicherry. 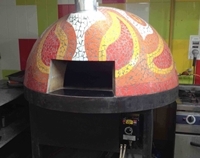 He laterA� started the pizza restaurant- Sciro Pizza at the Auroville Visitors Centre where the idea to make pizza ovens first came to him.He is the first in his family to make ovens. a�?I wanted to make the Italian wood-fired oven that we used to toss our pizzas in, back home. It was built through trial and error, with my experiments with stone and metal,a�? confesses Scirocco who adds that his oven was firstA� noticed by a TV journalist. Her show grabbed eyeballs and Sciroccoa��s oven company, Il Pizzaiolo (that translated to a�?The pizza makera�? ), began getting orders from restaurants across the country. a�?My ovens are different from the factory assembled ones because they can cook a 8a�? pizza in about two minutes, while producing an optimal crust that is light on the outside and soft on the inside. The live flame inside the oven has a temperature of 300-500 degrees and the smoke imparted by the wood gives it a distinct flavour,a�? he says, adding that he has done zero marketing for his ovens. a�?The first order I got was from the Tuscana Pizzeria. From there it was simply word-of-mouth, with orders from restaurants across the city such as Tryst Cafe, Radha Regent, Igloo and so on,a�? says the chef, who has also built ovens for the Novotel group in Goa, Brewsky in Bengaluru and La Vie in Delhi since then. As the only oven-maker from the South, he gets about five orders every month. They are finished on site to match any dA�cor. 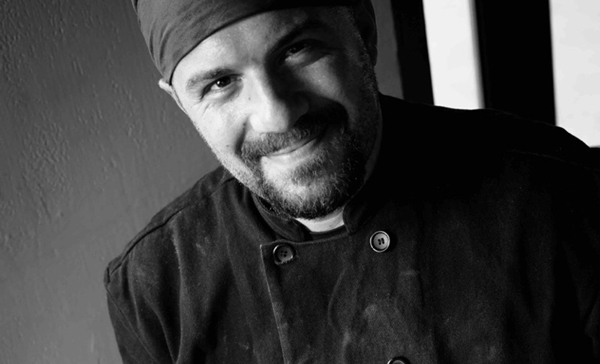 Scirocco grew up in the kitchen,where his father was a chef at the Apricota��s Restaurant in Italy so his love for baking started early. a�?I began eating pizzas when I was two and made my first batch at the age of 14. Tossing a pie is my way of unwinding; it gives me energy when I bake,a�? he smiles adding that at Tantos he has tossed up to 150 pies in a day. He also adds that his pizza oven can be used as a tandoor of sorts to bake bread and grill chicken. Scirocco hopes to return to baking soon and start a small shop that sells his breads and pies. a�?For now, Ia��m happy getting my ovens to the top restaurants in the country, and spending the rest of my time with family,a�? he concludes. With Sciroccoa��s ovens turning out pies at Italian restaurants across the countrya�� like the Tuscana chain in Chennai, Tryst cafe and Meridien Group in Kochi to name a few a��chefs and hoteliers are all praise for the oven-maker. a�?Scirocco was referred to us by a friend whoa��d seen his ovens at Auroville. He installed the oven within days and tutored my people on how to use it. Samia Sait , the owner of Tryst Cafe. 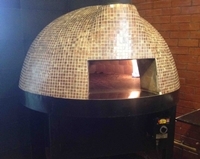 Sciroccoa��s dome-shaped ovens (mostA� with wheels) are made from refractory bricks coated with alumina that absorbs heat. The burner can be either wood or gas fired. a�?It can be designed the way the customer wants. I can do a ceramicA� finish, a marble one, oneA� withA� chipped stones or a stone glazed oven,a�? says Scirocco, adding that they can bake eight to 10 pizzas in one go. a�?When I cook, I make my own tomato sauce from the tomatoes of Auroville botanical garden and my organic dough is sourced from Rajasthan,a�? he says, adding that his personal favourite remains the hand-tossed plain pizza with anchovies and tomatoes. You can catch him in action on Saturdays at the Youth Centre in Auroville, where Pizza Day is celebrated with a workshop for children. French-fry pizza, anyone?